IMPORTANT: Your quilt block must finish at exactly 9.5 inches. That’s a 9-inch block with 1/4 inch seam allowance all the way around. If it’s a touch bigger, that’s okay; it can be trimmed. 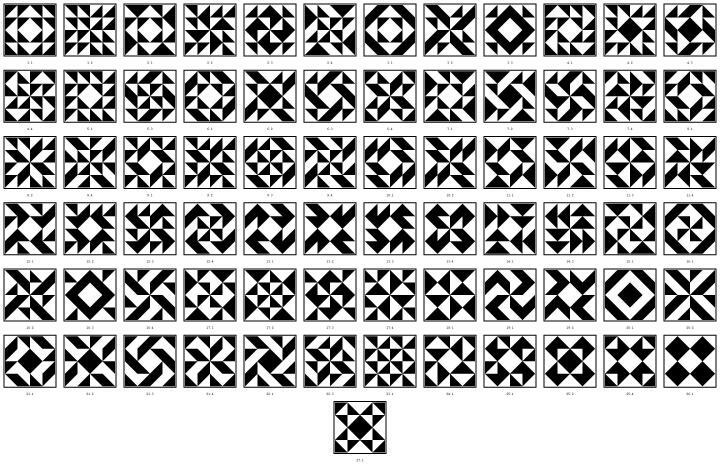 If it’s too small, though, it cannot be easily incorporated into the quilt with the rest of the blocks. 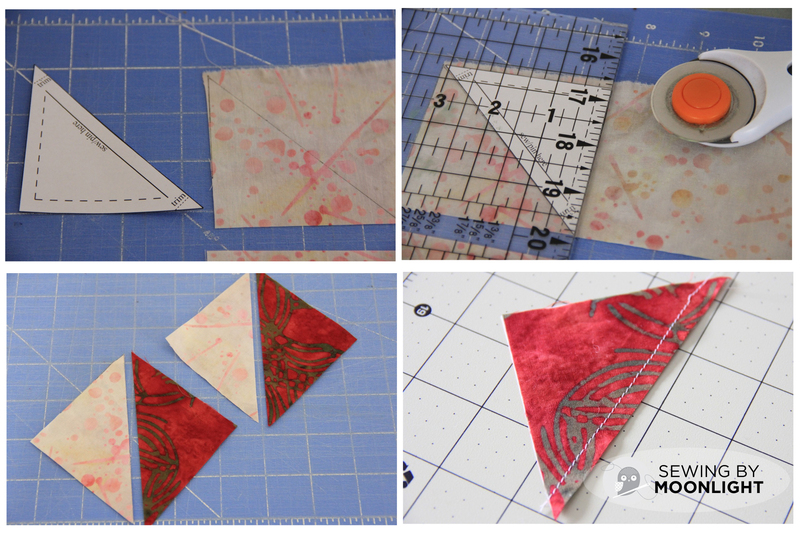 If you’ve never made a quilt block before, a great easy place to start is with a half square triangle. This is just what it sounds like. 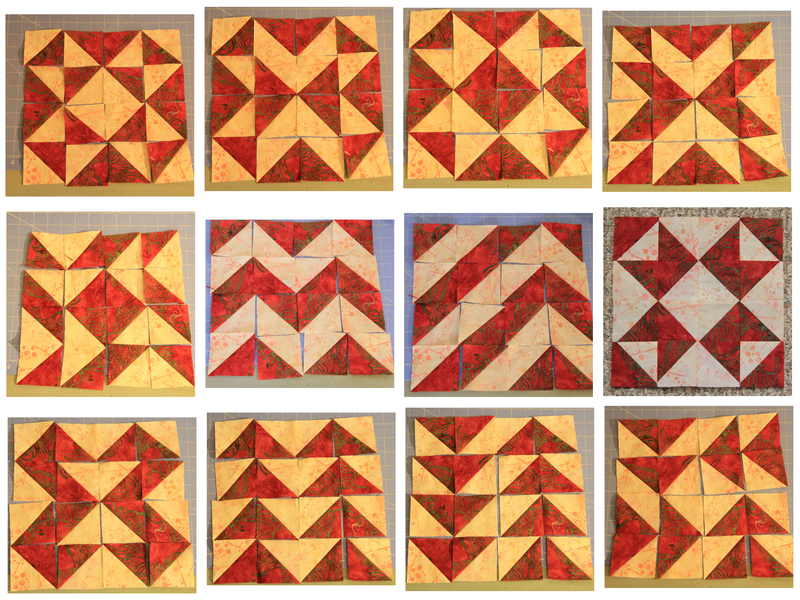 It is a quilt block unit composed of two triangles of fabric, which, sewn together along the diagonal, make a square. These half square triangles (HSTs) can be arranged in a huge variety of layouts to create different quilt blocks. For this 9-inch block (9.5 inches, unfinished, before it is sewn into the quilt), we will use a 4×4 grid of half square triangle units. 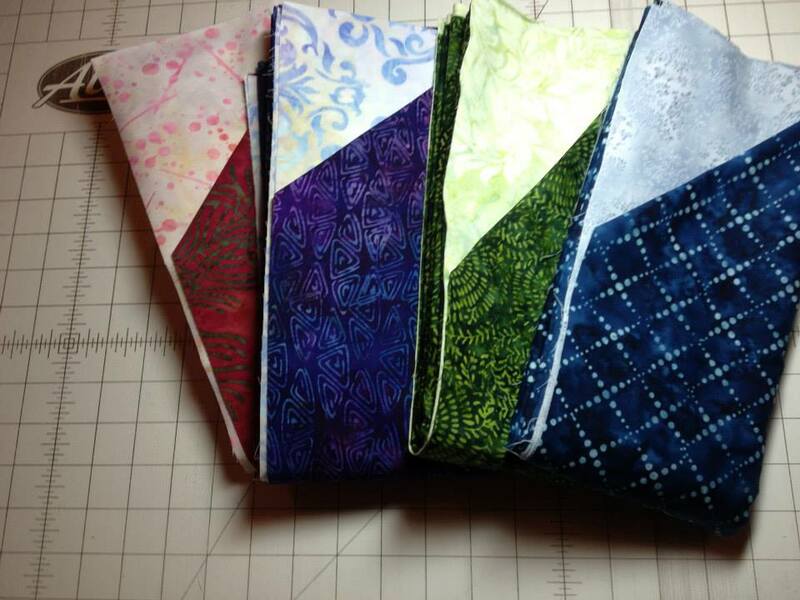 Each of the 16 HSTs will be 2.75 inches, unfinished, and 2.25 inches when they are sewn into the block or quilt. Did you notice the pattern of the seam allowance? We will always sew our seams together 1/4 inch (very slightly less) from the edge of the fabric. Thus, whatever the finished measurement of the block or block unit will be, you add a 1/2 inch to account for the seam allowance on all sides. 1. Using the triangle template (it should be 3-1/8 inches on a short side), cut out 16 triangles of light fabric and 16 triangles of dark fabric. 2. Place your triangles into pairs of light and dark. Stack each pair so the right side of the fabric is in the middle and the wrong side is facing out (note: with the type of fabric chosen for this quilt, there may not always be a difference between the right and wrong sides of the fabric. In that case, don’t worry about it. If there is a difference in the two sides, the brighter side goes in the middle). 3. Sew your HST together along the long side of the triangle, a scant 1/4 inch (remember: that’s just a thread width or two shy of 1/4 inch) from the longest edge. 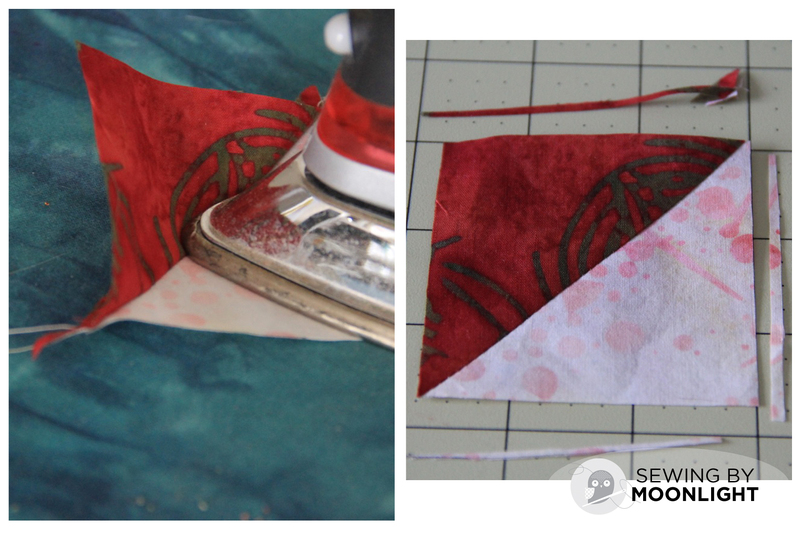 This is the method I prefer for making half square triangles. It goes a little bit faster and doesn’t involve fiddling with templates. Use whichever makes sense to you. 1. Cut out 8 squares of light fabric, and 8 squares of dark fabric, each measuring 3.25 inches (note: you could cut them at 3-1/8 inches, like the template, but I prefer to cut the squares slightly large and then trim the HST when it is complete). 2. Place one light square and one dark square with the right sides of the fabric in the middle and the wrong sides of the fabric facing the outside. Draw a diagonal line on the top square going from corner to corner. You can just use a regular pencil or pen for this. It will be hidden in the finished quilt block. 3. Sew two diagonal lines parallel with the line you drew, one a scant 1/4 inch to the left of the drawn line, the other, a scant 1/4 inch to the right of the drawn line. 4. Cut the square into two along the diagonal line you drew. 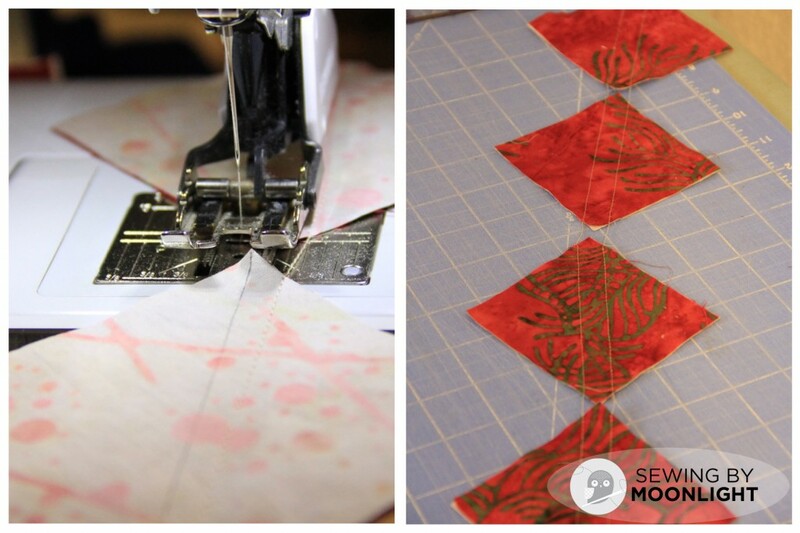 To speed the process of making your block units, try chain piecing. Cut out all your pieces and place your pairs together. Sew one pair. Rather than pulling that pair out of your machine and trimming the threads, leave it there and sew the next pair right behind. Trim when you have finished sewing all pairs. 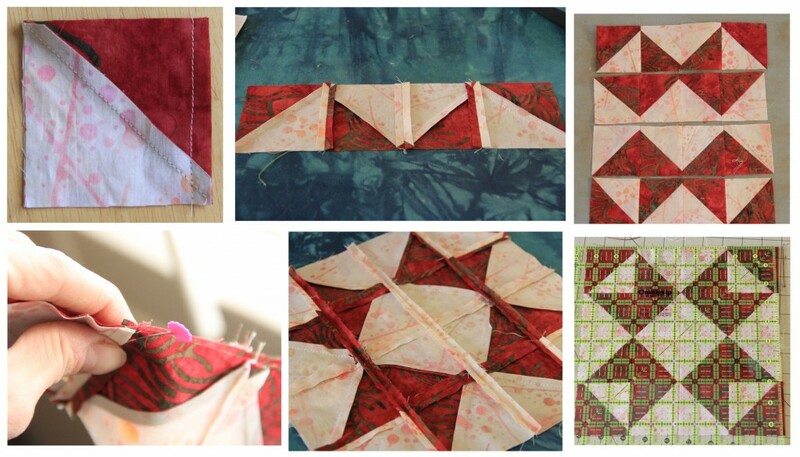 Whether you have used template or started with squares that were cut apart, you should now have a stack of 16 triangle pairs that are sewn together along their longest edge. With the dark side up, nudge your hot iron between the two triangles and press the block unit open. This will press the seam allowance toward the darker fabric. Trim each HST to 2.75 inches. But these are just the “rotationally symmetric” choices, you are welcome to explore beyond that. I really had a lot of fun playing with my HSTs before I finally settled on the pattern I wanted to use. 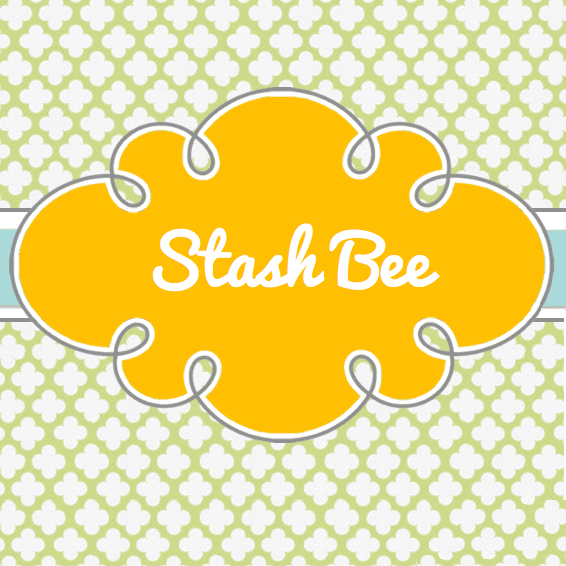 Now you have 16 finished HSTs and you’ve decided on a pattern for your block, let’s finish up! 1. Beginning with the first row, place two adjacent HSTs together with the right sides in the middle, and their common edge aligned. Sew together using a scant 1/4 inch seam allowance. 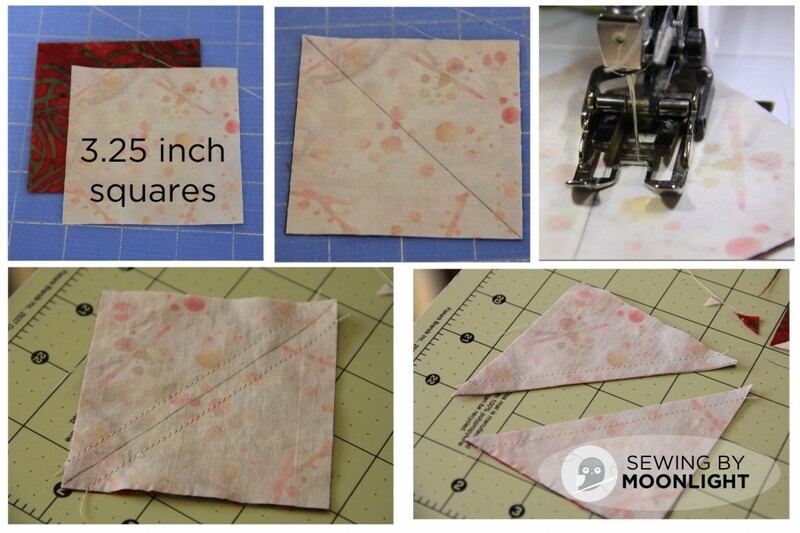 Sew the next pair of HSTs together the same way. Attach these two pairs using a scant 1/4 inch seam allowance to form your first row. Press your seams open. 2. 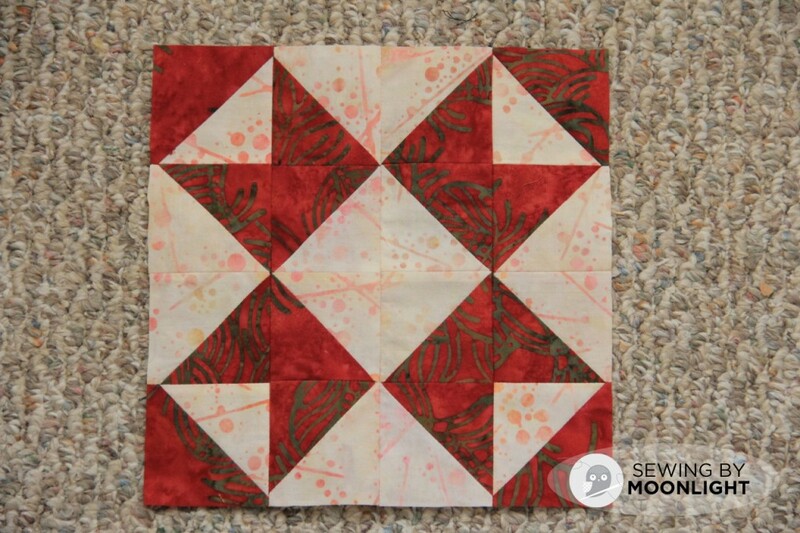 Repeat for the remaining three rows of HSTs. 3. Flip the top row down onto the second row so the right sides are together in the middle. Align each of the seams between HSTs and pin in place. Sew the rows together using a scant 1/4 inch seam allowance. 4. Continue in this manner until you have sewn all four rows together. Press your seam open. Flip the block to the right side and press flat. 5. Trim to 9.5 inches square. Mail your block off to be include in Rachel and Colin’s wedding quilt. E-mail me if you have questions. Or call. Or we can Skype and I’ll help (this offer valid for Rachel and Colin quilt makers only)! Yay!!! Em you are sooo awesome!! Thank you thank you thank you!!! 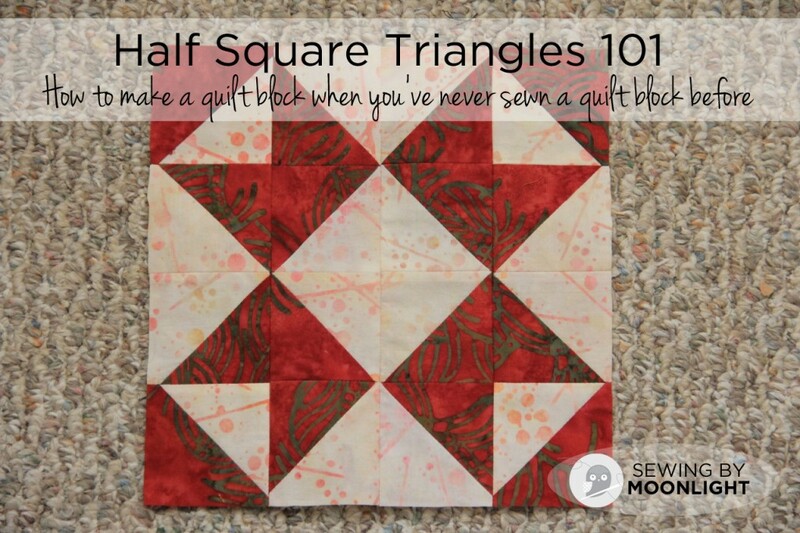 Great post, half square triangles are my go to block! 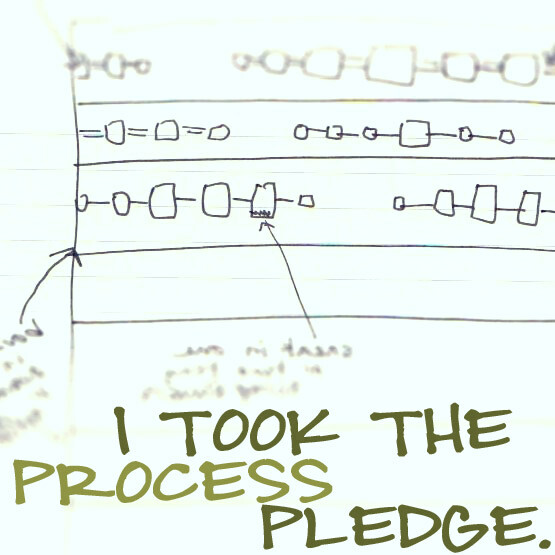 I love the chart in your post, thanks for sharing. Do you think that pretty much everyone will be doing squares of this type? I have an idea for a block but it is not a 4X4 half square pattern and I’m worried that the different size and shape of the triangles will look out of place. What do you think? Your instructions were awesome and made this a quick project! I appreciated the help, my block is completed and delivered and I hope the bride and groom love their quilt!